Math Problem. John has 32 candy bars. He eats 28. What does he have now? Diabetes. John has diabetes. Math Problem. 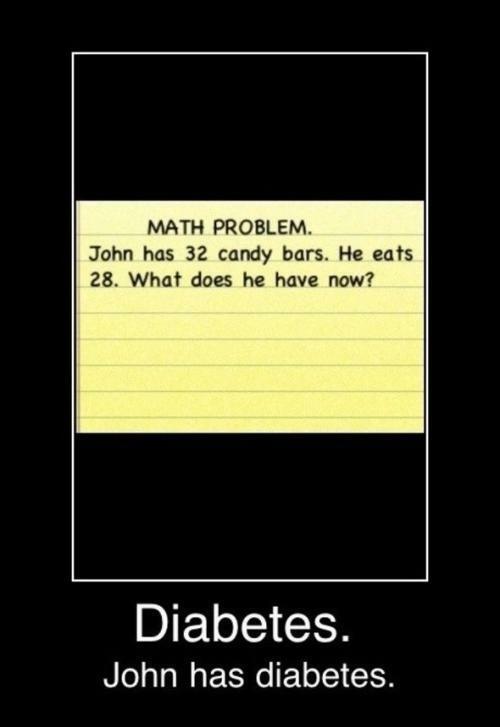 John has 32 candy bars. He eats 28. What does he have now?